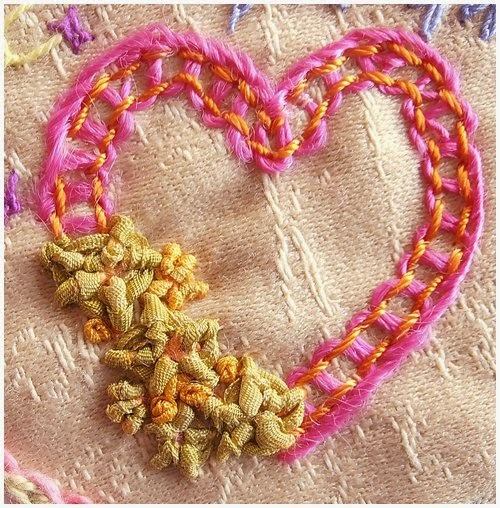 This weeks stitch of the week is the pekinese Stitch also known as chinese stitch as well. It is brought to you by the lovely and ever talented Mary Corbett and is shown with such ease that it makes you want to give it a go. Look what can be achieved with this lovely stitch and as valentines is on its way what better than a hand made card to the one you love! The heart is absolutely beautiful. Such lovely work! !